THE world's squid, octopuses and cuttlefish have been going through a massive, 60-year population boom, a new study has found. Published yesterday in Current Biology, the study shows a continued rise in population numbers of cephalopods since the 1950s. It also reveals the boom has happened in 35 species of cephalopods - covering six families - around the globe. 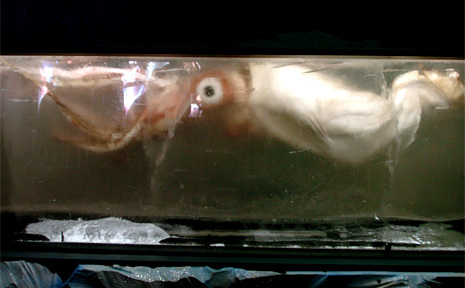 Earlier research has found cephalopods, which are highly adaptable to changing environments, may be benefiting from a combination of climatic changes, including global temperature rises. University of Adelaide researcher Dr Zoe Doubleday led the study and found that despite anecdotal reports indicating a "boom and bust" cycle in cephalopod populations, since 1953 there had been a sustained increase. The data used in the study also showed population rises whether the data was sourced from fisheries or other information sources, including environmental monitoring.